A record number of children died from influenza this past flu season, federal health officials said Friday. One more death was reported this week, making 172 child deaths reported for the 2017-18 flu season, the Centers for Disease Control and Prevention said. “This number exceeds the 2012-2013 season, which previously set the record for the highest number of flu-related deaths in children reported during a single flu season (excluding pandemics),” the CDC said. By any measure, this past flu season was a severe one, the CDC said. Flu activity stayed high in all 50 states, or nearly all, for weeks on end — an unusual pattern. Usually, the annual flu epidemic moves from region to region. “CDC experts have described the 2017-2018 season as a high severity season, with influenza-like-illness remaining at or above baseline for 19 consecutive weeks, record-breaking flu hospitalization rates, and elevated pneumonia and influenza mortality for 16 weeks,” the CDC said. It hit kids especially hard. Last season, 110 children died from flu in the U.S. In the 2009 pandemic of H1N1 swine flu, that new strain killed 282 children and 358 children in total died from influenza that season. Every year, influenza kills between 12,000 and 49,000 people and can send more than 700,000 people to the hospital, the CDC says. Flu kills so many people and puts so many into the hospital that the CDC has stopped counting each one. For adults, mortality is estimated. “These deaths are a somber reminder of the importance of flu vaccination and the potential seriousness of flu,” the CDC said. And they are likely an underestimate, as not every single flu death is properly recorded or reported. “As reporting of deaths in children can be delayed, it’s possible that additional flu-related deaths in children during the 2017-2018 season will be reported to CDC,” the agency said. About half the children who died had another health condition, but half did not. “Most children died within seven days of symptom onset,” the CDC said. It’s not clear why this past influenza season was so severe. The strains that were circulating were not new or unusual. While the flu vaccines that were available were not highly effective — giving about 36 percent protection against infection, the CDC said they did save lives. 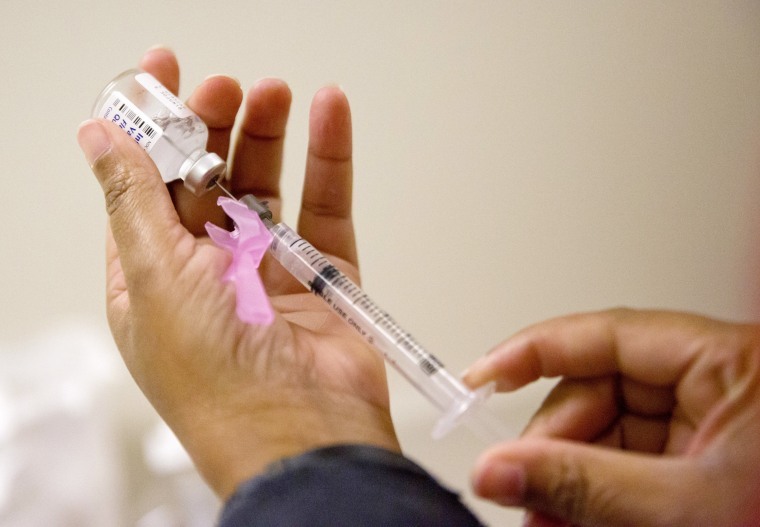 “During the 2016–17 season, vaccination averted an estimated 5.29 million illnesses 2.64 million medical visits, and 84,700 influenza-associated hospitalizations,” the CDC said.